Thrift stores are all the rage these days and they’re everywhere- in big city boutiques, on small town main streets, and most definitely online. 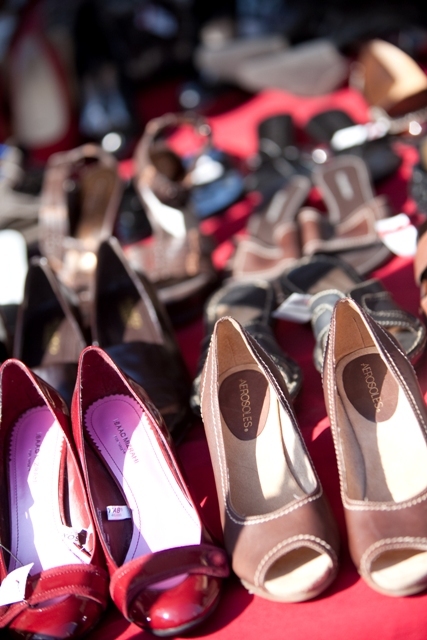 But did you know that thrifty shoppers, fashionistas, and vintage lovers alike all shop at The Salvation Army Family Stores for fabulous finds and great prices? See, there’s a thrill in thrifting at your local Salvation Army. Enjoying the thrill of the hunt! 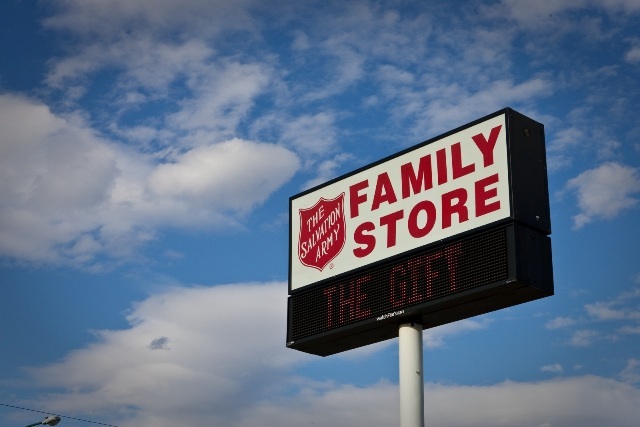 Understanding the magical experience of thrift store shopping didn’t really sink in until a recent visit to The Salvation Army Family Store in Hyattsville, MD. First of all, the store was huge and had an amazing, well-organized selection of just about anything you could want, including clothes, shoes, accessories, furniture and much more. Secondly, scavenging the racks of clothes with fellow colleagues, I stumbled upon two beautiful, like new sweaters from high-end companies totaling a whopping $8. I also bought both vintage and new jewelry- with tags - for only $2! Thirdly (and probably most importantly), my purchases supported a good cause. You might be interested to know that many individuals employed at Salvation Army stores are participating in The Salvation Army’s Adult Rehabilitation Center program. In fact, as I was checking out, the cashier told me his story about how he overcame drug and alcohol addictions through the help of the Hyattsville ARC. He's now sober and working full time at the store. Because of donations to the thrift stores, like yours and mine, the ARC's are empowered to help thousands of struggling individuals each year. So not only did I walk out of the store with two sweaters and two great necklaces for only $10, I left with the fulfillment of knowing my money was helping those in need of spiritual and physical rehabilitation. Interested in a thrifting thrill or to simply drop off your old duds? Stop by your local Salvation Army. The person behind the counter will be grateful for your support! You can search for your closest Salvation Army Family Store by visiting our website at www.SalvationArmyUSA.org and searching by your zip code in the upper-right corner. P.S. Many locations have 50% off “Family Day” on Wednesdays. Call your local branch to find out!